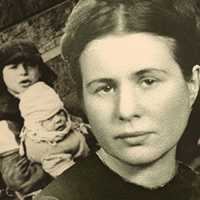 Polish Catholic social worker Irena Sendler defies Nazi rule to save 2,500 Jewish children during the Second World War. Her true story is lost until three Protestant teens from rural Kansas find a brief mention in an old clipping. Their curiosity evolves into an award-winning National History Day project, bringing Sendler to international attention. It leads them to Warsaw where they befriend Irena and learn how one person can change the world by "answering the need of her heart." A winning , true story. An accomplished, charming actress. A sell-out. Libby Skyla of Brooklyn brings us a story that we should have all heard. We all know of Oskar Schlindler of ‘Schindler’s List’ yet Irena rescued more than twice the souls and nobody knows about her. Libby rectifies this wrong in a perfect, stunning performance that shows the best that theatre can be. And the buzz is reflecting this. The only small criticism is the dramatic pauses were way over done putting this piece past its stated running time. A note: if you have health concerns be aware of the sweatbox this Venue is. Bring your cooling devices, spray bottles and ice packs if you are sensitive to heat, so you can enjoy the performance. Personally, I feel this Venue should be retired.